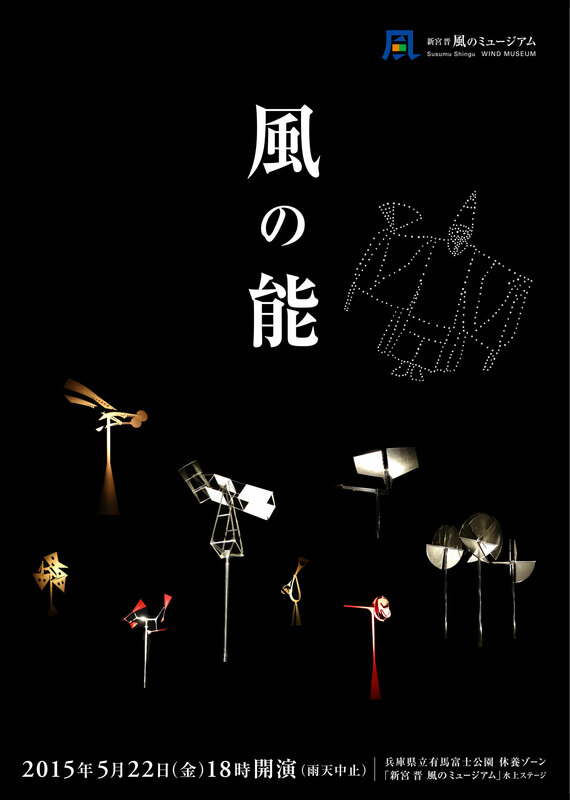 A year after its opening in June 2014, the Susumu Shingu Wind Museum organises an open air performance on May 22 entitled “Noh of the Wind”. This Noh Theater performance will be lead by Japanese artist Rokuro Gensho Umewaka. The poetic choregraphy of “Noh of the Wind” was conceived in collaboration with Susumu Shingu. 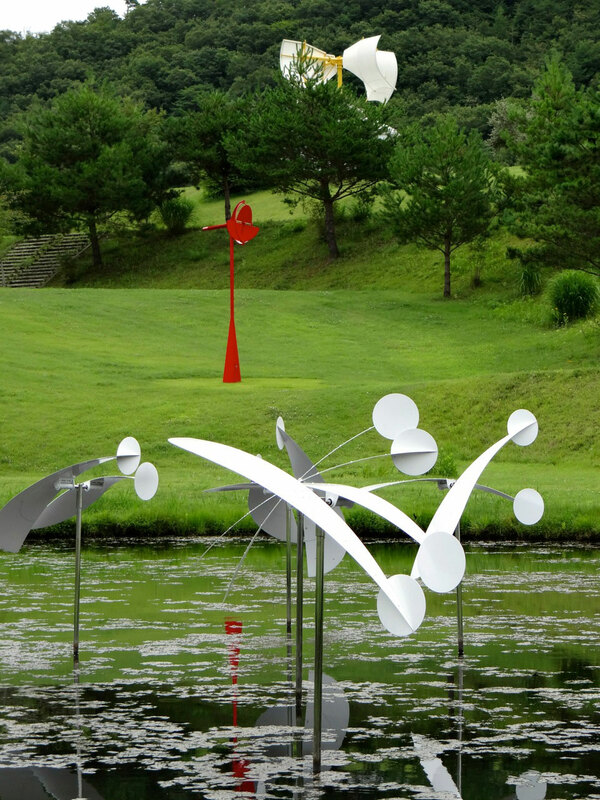 It will be held at 6pm (local time) by the pond in the Arimafuji Park – where the sculpture “Rondo of the Wind” is installed. 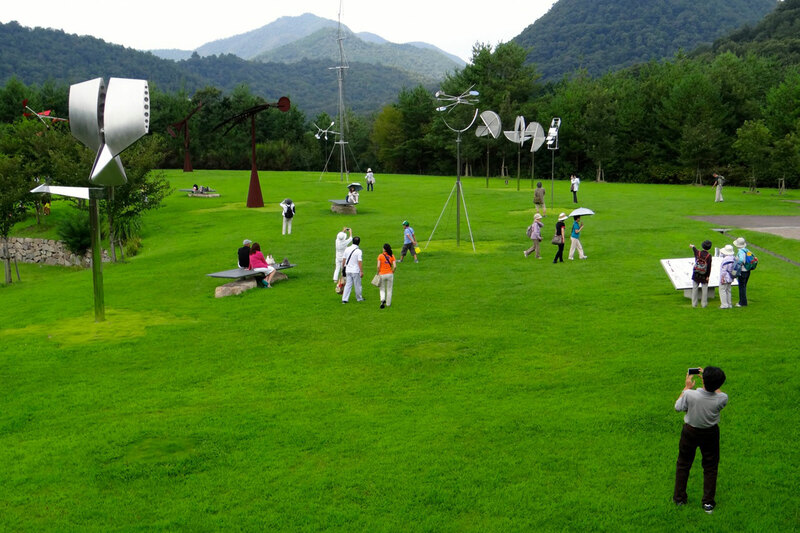 The Susumu Shingu Wind Museum is at the heart of the Arimafuji Park in Sanda, Japan – where the artist works and lives. 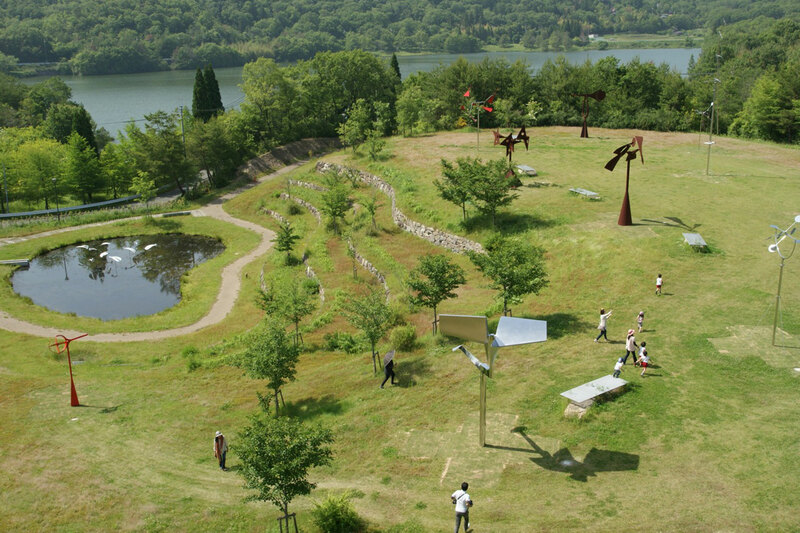 Susumu Shingu donated 12 sculptures permanently installed in the park. Each of them is animated by the energies of wind and water, sending us their messages from Nature. Constantly changing forms and colours, they dance with the wind following their own character.